Would You Purchase A Brand New Air Cooled Pinz? - THE PORTAL HUB - Pinzgauers, Haflingers, Volvo 303s and more! 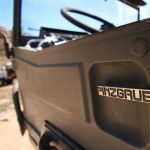 If you could purchase a brand new Pinzgauer 710m or 712m, meaning brand-new-out-of-the-factory, not refurbished or restored, would you do it? Let's say each truck still had dual carbies, but was upgraded with a blueprinted 2.7 liter engine, six speed transmission, power disc brakes and an electronic ignition, a super high quality insulated soft top, jeep-style soft upper doors, LED lighting all around, and modern laminated safety glass for the windscreen, plus one of those rad electric power steering add-ons that Scott at Expedition Imports has for sale. Basically still a neanderthal-simple air cooled Pinz, but factory equipped with all the cool upgrades we see discussed here on the forum. Do you think the general buying public in the 4x4 market would purchase them, or do most of those people really only care about electronic fuel injection, one million watt sound systems, and power windows? Let's say out-the-door price was, um, maybe 50K USD. I think it would need to be electric with 400+ mile range, or a cutting-edge TDiesel. The days of new cars that get MPG in the teens are, or will soon be, over. Why ask, are you about to invest millions in a Pinz reman business? These days there seems to me an ever-widening chasm between folks that like ancient DIY-friendly auto and moto technology, you know, stuff that they don't have to visit a dealer to maintain or even repair; and the larger majority that has never known anything but EFI, power everything, plastic everything, electronically controlled everything, you know, stuff that only a dealership or shop with the codes and software and overly complex equipment can maintain or repair. Basically, overlanders with eyes for old Royal Enfields and Pinzgauers, and "overlanders" with eyes for BMW GS 1200s and Instagram Jeep JKs. I agree with the TD platform concept. The need for better highway speeds and fuel economy are better achieved with a tuned, turbo diesel. My other option for power plant would be a super efficient Diesel/electric drive system. It works for locomotives pulling heavy weights at Hwy speeds. Most important upgrade would be leak free door glass. I have exactly what you described in your 1st post except mine has EFI. You mean, "for off-road purposes"? NHTSA has already published a letter of interpretation which states that a Pinzgauer is a "Motor Vehicle" capable of operating on highways. As such, it cannot be imported into (nor manufactured in) the United States as an "off-road only" vehicle. So to my knowledge, a "brand new Pinz" would have to meet current-year FMVSS requirements and EPA standards applicable to an automobile, regardless of whether you would be operating on- or off-road. For the sake of hypothesis only, let's say these were original air cooled Pinzies; but offered with all the upgrades aforementioned: disc brakes, power steering, blueprinted 2.7 engine, safety glass, etc, etc, and the factory had stocks of each and every part needed for maintenance and repair, plus a complete and illustrated manual as detailed as anything the factory itself would use, a manual on the level of a Haynes or Chiltons. And perhaps the price was much lower, too; if the out-the-door price was lowered to 30,000 USD, would this be a commercially viable vehicle, I wonder? Well, from a TOTALLY theoretical standpoint, yes,I think a vehicle as you describe would be worth $30,000 USD. It might work if you could get them imported first, then do those upgrades stateside. But with a 25% tariff on imported antique automobile components, I'm afraid you'd never do all that for $30k. Besides, if it were possible, I think someone like Scott Ingham would already have done it.